Jaguar’s most practical sports car. Introducing I‑PACE Concept, a preview of Jaguar’s first all-electric five-seater sports car. Powerful, agile and utterly distinctive F‑TYPE is a true Jaguar sports car. 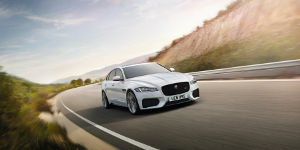 Jaguar's most advanced, efficient and refined sports sedan ever. A dramatic combination of beauty, luxury and power. For some people, life isn't about blending in. It's about standing apart from the masses, ignoring the obvious, being original and straying from the conventional path. ENGINEERED FOR POWER AND EXHILARATION. F-PACE SVR CAN ROAR TO 100KM/H IN AN ASTONISHING 4.3 SECONDS. JAGUAR'S ALL NEW PREMIUM MID-SIZED SPORTS SEDAN. 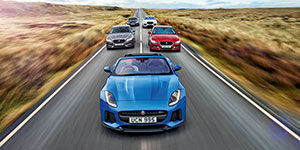 Welcome to the Jaguar Collection, a carefully selected range of clothing, gifts and accessories which have been designed and developed with the Jaguar customer and enthusiast in mind. 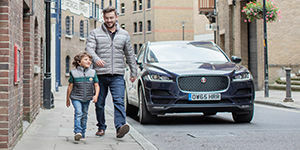 Total Care Roadside Assistance has been designed specifically for Jaguar drivers to assist in a motoring emergency, from immobilisation due to breakdown or accident to minor emergencies such as a puncture. 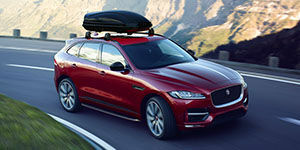 Personalise your Jaguar with a wide range of accessories specifically designed for your model. Every Jaguar car feels as alive as the day it was created, whether it's new or APPROVED.